City crews will be making waterline repairs on Gatewood Drive on Monday, April 15 between the hours of 8 a.m. and noon. During that time, customers within Heatherwood Estates will experience a temporary disruption in their water service. During times of water service disruption, the city recommends that customers make any necessary precautions to protect their water system (such as turning off their water heater). If you have any questions, please call (423) 229-9454. Beginning on Monday, April 15, city crews will be making stormwater pipe repairs on East Sullivan Street. In order to complete these repairs, East Sullivan Street will be closed at night between Cherokee Street and Cumberland Street beginning at 6 p.m. each evening and reopening at 6 a.m. the following morning. The city anticipates this work to be completed by Friday morning, April 19. Motorists are encouraged to utilize the marked detour routes and use extreme caution while traveling in this area. Please obey all “Road Closed” signs. If you have any questions, please call (423) 229-9454. City crews will be making waterline repairs along Lone Star Road on Tuesday, April 2 between 8 a.m. and noon. During this time, customers in Lone Star Road area (west of Little Horse Gap Private Drive) and the Beech Creek Road area will experience either a reduction in their water pressure or a temporary disruption in their water service. During times of water service disruption, the city recommend that customers make any necessary precautions to protect their water system (such as turning off their water heater). If you have any questions, please call (423) 229-9454. City crews will be making waterline repairs along Watauga Street on Friday, March 29 between 8 a.m. and 2 p.m. During this time, customers in the 1300 and 1400 blocks of Watauga Street will experience either a reduction in their water pressure or a temporary disruption in their water service. City crews will continue sewer repairs along Clinchfield Street between Center Street and Press Street this evening (Thursday, March 28) beginning at 6 p.m. and lasting until approximately midnight. During this time, Clinchfield Street will be closed to northbound thru traffic between Center Street and Press Street. Two-way traffic will remain open between Center Street and the entrance to Burger King. The city encourages motorists travelling northbound between Center Street and Sullivan Street to utilize the marked detour. Clinchfield Street will remain open to southbound traffic (headed towards Center Street). The city urges motorists to use extreme caution while traveling in this area and to obey all “Road Closed” signs. 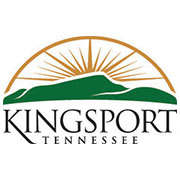 The City of Kingsport will begin road improvements on Bays Mountain Road beginning on Monday, April 1. Crews expects to complete the work by Saturday, April 6. McFall Excavating is the contractor performing this work for the city. The construction zones will be marked by signs, and flaggers will be directing traffic. The city advises drivers to use caution in the area during this time. If you have any questions, please contact Hank Clabaugh with the City of Kingsport Engineering Division at 229-9324 or hankclabaugh@kingsporttn.gov. Thank you for your cooperation during this road improvement process. City crews will be making sewer repairs along Clinchfield Street between Center Street and Press Street on Wednesday, March 27. Between 8 a.m. and 6 p.m., lanes may be temporarily shifted and/or controlled by flaggers to allow for portions of this work to be done. Beginning at 6 p.m. and lasting until approximately midnight, Clinchfield Street will be closed to northbound thru traffic between Center Street and Press Street. Two-way traffic will remain open between Center Street and the entrance to Burger King. Motorists travelling northbound between Center Street and Sullivan Street are encouraged to utilize the marked detour. Clinchfield Street will remain open to southbound traffic (headed towards Center Street). The city urges motorists to use extreme caution while traveling in this area and to obey all Road Closed signs. City crews will be making waterline repairs along Stratford Road on Friday, March 22 between the hours of 8:30 a.m. and 1 p.m. During this time, customers in the following areas will experience either a reduction in their water pressure or a temporary disruption in their water service: Stratford Road (between Memorial Boulevard & Shipley Street), Morrell Court, Bernard Circle, Hillcrest Drive, Ashley Street (between Hillcrest Drive & Shipley Street), Ridgeview Street (north of Hunter Lane), and customers 1413-1425 Conway Drive. City crews will be making waterline repairs along Big Ridge Road on Thursday, March 21 between the hours of 8 a.m. and noon. During this time, customers in the following areas will experience a temporary disruption in their water service: Big Ridge Road, Toy Crawford Road, Donnie Crawford Road, John Phillips Road, Dykes Road, and 1140-1200 Old Blairs Gap Road. During times of water service disruption, the city recommends that customers make any necessary precautions to protect their water system (such as turning off their water heater). If you have any questions, please call (423)229-9454. The City of Kingsport will begin work on West Sullivan Street between Hammond Avenue and the entrance to Family Dollar on March 18 at 7 a.m. The project is expected take 60 days to complete. Glass Machinery and Excavation, Inc. will be the contractor performing the work for the city. A section of West Sullivan Street, between the intersection with Hammond Avenue and the entrance for Family Dollar, will have a temporary traffic pattern change during the construction process until the completion of the project. Traffic traveling east from the Clinchfield Street intersection will be diverted into the center turn lane toward Church Circle with construction zone traffic control devices and signs. Drivers are asked to use caution in the area during this time. Work will take place adjacent to the Town Park Lofts development. Thank you for your cooperation during this improvement process. If you have any questions, please contact Pamela Gilmer with the City of Kingsport Engineering Division at 423-229-9475.